The statistics are sobering: More than 34 million working-age Americans have provided unpaid care to an adult aged 50 and older, according to a 2015 study.¹ And many of those caregivers have reduced or stopped saving for their own futures to cover expenses. The good news is there are ways to protect your assets as well as a parent’s estate while ensuring loved ones age in comfort. It’s natural to assume parents may not need long-term care (LTC) if they’re moving in with family or modifying their own homes to age in place. But in either of those scenarios, your parents may still need the most common type of care: in-home assistance. 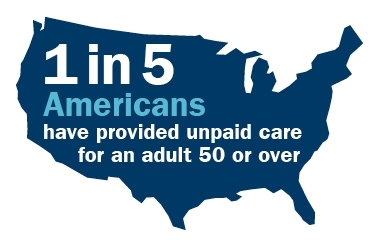 You’ve probably heard that Medicaid covers LTC for those who can’t pay for it out of pocket. What you may not know is program rules require that assets be spent down before benefits kick in for LTC. The impact on a parent’s estate can be devastating, which is why many families look to asset transfers as a workaround. Just keep in mind that gifts of money, investments and property must take place at least five years or more before applying for Medicaid to meet eligibility requirements. Medicaid requires that assets be spent down before benefits kick in for long-term care — and the impact on a parent’s estate can be devastating. If your parents do have some LTC coverage, many states offer asset protection through the Long-Term Care Partnership Program, a collaboration between state governments and insurance companies. If your parents use up their LTC policy’s maximum life benefit and need to apply for Medicaid, their assets will be protected up to the amount paid under the policy from the program’s spend-down requirements. Once a parent is eligible, family members may qualify for Medicare reimbursement for approved caregiving services if qualifications are met. Parents who don’t have LTC insurance and aren’t eligible for Medicaid may be able to deduct caregiving expenses. Generally, your parents must itemize deductions and pay for unreimbursed medical expenses — including LTC expenses — that exceed 10% of adjusted gross income. If you pay for the expenses of a dependent parent, you may qualify for the deduction if requirements are met. In addition to daily expenses such as travel and mileage, larger budget items such as doctor-recommended caregiving expenses or home renovations deemed necessary may also be deductible. For more information, visit the irs.gov website’s section for caregivers. So, how do you begin talking to your parents about this sensitive topic? “It all boils down to one thing: Have the courage to have the conversation,” Maki says. “Suggest to Mom and Dad that there may be a better way than simply hoping things turn out the way we want them to.” Your advisor can help you weigh available options and how they’ll work into your overall financial plan.